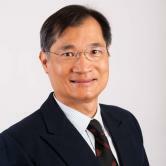 Dr. Yim has been at Oregon State University since 1987 and is currently the Glenn Willis Holcomb Professor of Structural Engineering in the School of Civil and Construction Engineering. He is the principal investigator of the 10-year NSF Network for Earthquake Engineering Simulation Tsunami Research Facility Site Operation Project. His research focuses on fluid and structural mechanics in the marine environment using high-performance computing based multi-physics, multi-scale and multi-domain systems methods. His recent research topics include hydroelasticity, free-surface flow and fluid contact/impact on deformable marine structures; waves, tsunami, storm surge and earthquake loads modeling and simulation in field and laboratory environments; and mechanics of wave-energy conversion systems. He teaches courses on structural mechanics, computational methods, wave forces, marine structural dynamics, and wave energy systems.